Discover How To Reprogram Your Conscious & Subconscious Mind Stories By Combining Scientifically Proven Methodologies with Law of Attraction Principles So You Can Finally Create The Life of Abundance You Deserve! 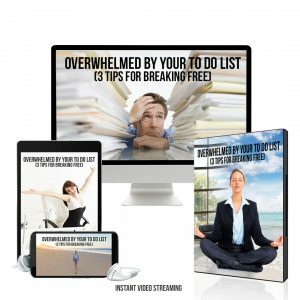 Tired of ﻿﻿﻿﻿Manifestation﻿﻿﻿﻿ Tools That Just Don﻿﻿'﻿﻿t Work? Stories are a universal language you can use to rewrite your past, present and future to dissolve self sabotage and quickly manifest the results you want. 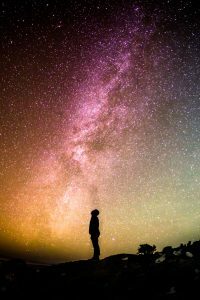 Our clients recalibrate their inner set point for health, wealth, relationships, lifestyle, career & spiritual connection to match their goals and vision, within 21-90 days. Change Your Present by rewiring and retraining your subsconscious mind to imprint empowering new attitudes, beliefs and success habits so you can attract the stress free abundance and the lifestyle you deserve. Change Your Past by releasing your outdated patterns and habits, letting go of unsupportive beliefs & memories and replacing them with life changing stories that will help you achieve a greater and greater abundance — with less struggle. Change Your Future by resetting your “success autopilot” and imprinting the outcomes of your choice directly onto your inner source – leaving the Quantum Field in no doubt about what you want and experiencing the full power of the law of attraction in action. We can teach you to re- write your story and reprogram your mind so you consciously and unconsciously attract more abundance, success and happiness into your life… even if nothing has worked for you in the past. This is information we have just recently discovered in the past 10 years in the areas of quantum physics, neuroscientific research and goal-achieving methodologies. The problem is that most people have their greatest power – their heart energy - working against them, directly opposing the goals they want to achieve. In otherwords, they don’t believe deep down in their heart that they can achieve success. And if your heart doesn’t believe it’s possible, it will never happen! Another way of understanding this is that most people spend their time trying to succeed using only their conscious mind (willpower or brain power). They incorrectly assume that’s the key to success. But the key is really in aligning both the conscious and the unconscious mind (both your head and your heart). Our conscious mind represents only about 1/7th of our mind. Recently confirmed by neurological research, the far greater and more powerful part of our mind – actually resides in the unconscious. This part of you controls up to 6/7ths of all your thoughts, feelings and actions! Now we know you're probably aware of this. But what separates the MindStory Program from everything else out there is that using the power of story, metaphor and revolutionary neuroscientific tools, you can repair the split between your head and your heart energy, change your past, present and future stories at the deepest level of your unconscious mind –and reset your autopilot at the imprint level. It will transform your life by helping you master your beliefs, habits, emotions and perceptions. 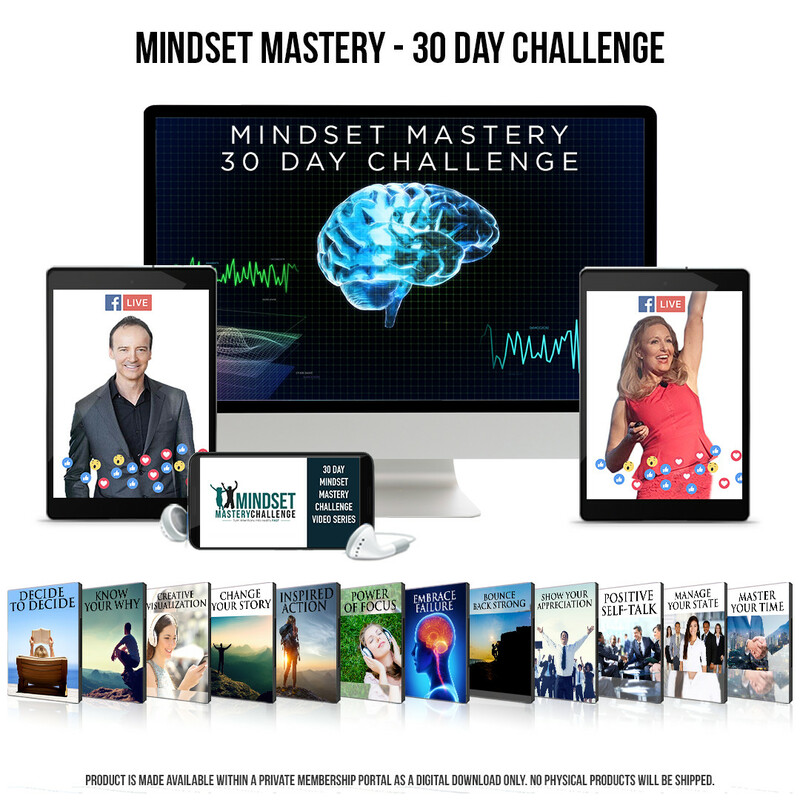 We designed the MindStory program to take the mindset and habits of successful people and make these success patterns available to model and install them into those who don’t have those same empowering beliefs & winning habits. One of the most important concepts MindStory teaches you is how to free yourself from all of your past stories and failures, negative thinking and beliefs - and set yourself on the path to success. Just working with affirmations or one core belief at a time won't work. 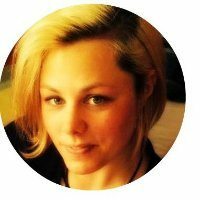 Limiting stories are like complex software programs that someone else installed on your computer and are now creating havoc. Learn to delete and reinstall what YOU want. 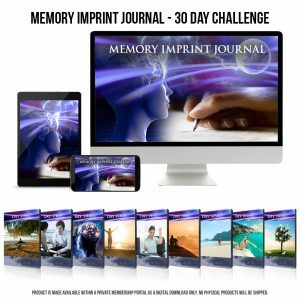 To put it simply, ﻿﻿﻿you’ll be compressing decades of knowledge in just﻿ ﻿20–30 minutes a day over the next 90 Days. 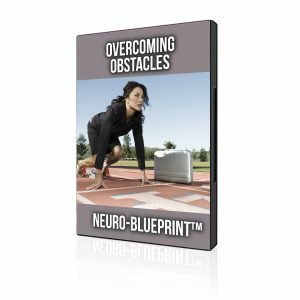 Here you'll get an AM and PM Neuro-Blueprint that will help you change your story around setting and achieving your biggest goals. You will begin to imprint the outcomes you want onto the deeper unconscious part of your mind, aligning your brain power and your heart energy. This will transform your goals into a magnet that will attract the internal and external resources you need to manifest them faster and easier than ever before. 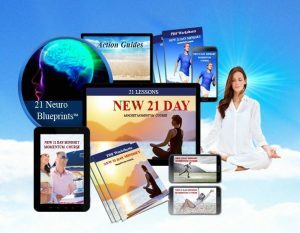 Both of these Neuro-Blueprints use the latest advances in Neuroscience to install an Invincible Vision to activate the power of your subconscious mind and reset your inner autopilot for success. You will experience new levels of energy, motivation, creativity and focus that will inspire you to the next level of consistency, commitment and courage along your destined path. 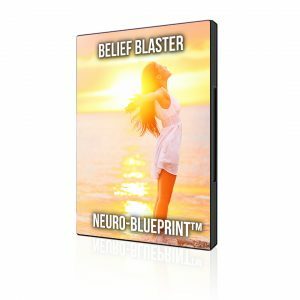 These Neuro-Blueprints will help you to release deep rooted unwanted beliefs and replace them with the new empowering beliefs of your choice so you can develop the presence, personal power and passion necessary to raise your consciousness so you can attract greater financial, business, spiritual and relationship opportunities. 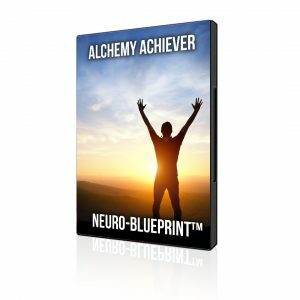 These 2 powerful Neuro-Blueprints will accelerate the manifestation process to attract more success and wealth into your life. 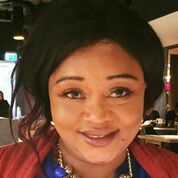 You will change your money story, removing any blocks you have around creating wealth and manifesting money, putting you on the fast track to living the lifestyle of your dreams. Stress, doubt, worry, problems and countless fears stop us from showing up as our best selves and fulfilling our true potential. 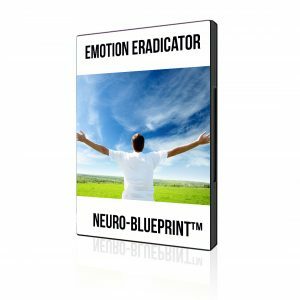 These Neuro-Blueprints will help you to let go of the hidden negative emotions that are destroying your health and ruining your life. 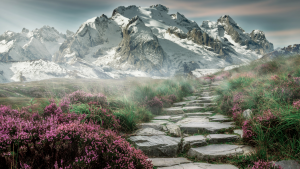 These ‘clearing to create’ processes will free up prime real estate space inside of your subsconscious mind, immediately activating more of your personal power and opening yourself up to receiving the opportunities you’ve been waiting for. Experience the ultimate feel good Neuro-Blueprints. Research shows if you can raise somebody's level of positivity in the present, then their brain experiences what is called a happiness advantage. Your brain then performs significantly better than it does at a negative, neutral or stressed level. Here you will prime your mind to immerse yourself in the positive emotions of joy, happiness and gratitude which will elevate your vibration and your levels of peak performance. Resilience is that amazing quality that allows some people to be knocked down by life and come back stronger than before. 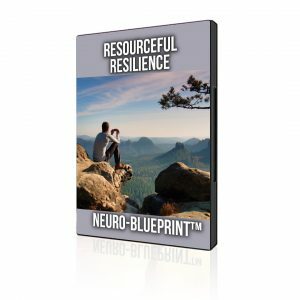 These advanced Neuro-Blueprints will train you to have a positive mental attitude, optimism, the ability to manage your emotions, and the ability to see failure as a form of helpful feedback. This will allow you to develop new neural pathways that allows you to create a new set of habits and beliefs. It takes a higher degree of consciousness and significant increase in awareness to succeed in life. Here you will expand your awareness by learning to use more of your mind. 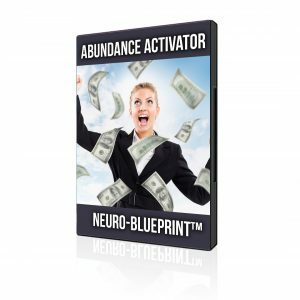 Using these advanced Neuro-Blueprints will align your conscious and unconscious mind to create the required neural pathways for amplifying your mind power so you can effortlessly attract the results you want. In this first module you will learn to rewrite your limiting stories, proactively move through your struggles, overcome your fears, hit deadlines, master your emotions & take consistent action to ensure that you make greater progress in 30 days than most people do over the entire year. Powerful priming processes for happiness, peak performance and success! 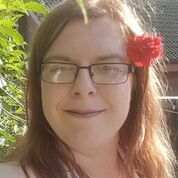 "This is my FEEDBACK post....and here it is....This course is frigging INCREDIBLE. I think the reason being is the flexibility but brilliance of it. The lessons are FIVE minutes....the blueprints I can do in the morning and the evening...and your daily Facebook Lives can be watched as and when I grab the time...making the tea etc. It's genius and it's effective! The results I am having are incredible!" focus on your incremental progress with important life goals, so that you stay committed no matter what. bring good memories you may have forgotten front of mind, so that you expect and attract more of the same. E﻿ach day﻿ ﻿watch 1 video and do ﻿﻿1 journal ﻿﻿page. This game changing module gives you access to the mindset secrets that some of the best neuroscientists and psychologists have uncovered about the way the human mind works. You’ll discover the scientifically proven solution that will allow you to achieve your life goals faster and easier than ever before… and how to live your live in a way that gives you the utmost joy, purpose, and meaning every single day. We use mental and emotional exercises scientifically proven to strengthen your ability to master your thoughts, emotions and behaviors. It combines the latest advancements in neuroscience along with the science of high performance. 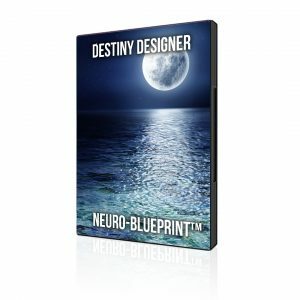 It also includes 21 new Neuro-Blueprints designed to prime your mind for extraordinary success. RE-WRITE YOUR PAST: It's never too late to have a happy childhood...or adulthood. 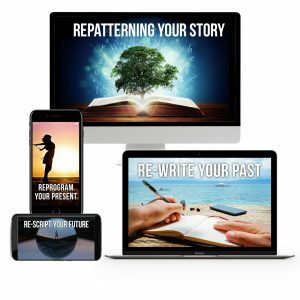 Here you discover how to actually re-write the past so that it powerfully supports your present day self and on into the future. RE-PROGRAM YOUR PRESENT: Here you'll scan for stories that are tripping you up in your present life, so you can delete the present day "software" that's malfunctioning and install the software [stories] that let you succeed. 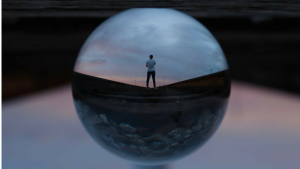 RE-SCRIPT YOUR FUTURE: Beneath your awareness you may have expectations about your future that are going to lead to pain and an unfulfilled life. Here you'll discover what they are, and re-write the scripts for your future now before it's too late. 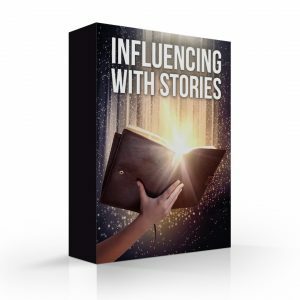 In the previous Modules you learned how to positively influence yourself with core stories. Here you'll discover how stories bypass other people's resistance to ﻿change﻿, so that you can positively affect your loved ones and those you serve. Influence with Integrity: Stories are an element like fire. You can ignite motivation and warm up rapport, but you can also burn and destroy people's lives. Here you learn to use stories with integrity and a good moral compass. Turn a Bad Listener into a Good One: Do your words ever fall on deaf ears when talking to loved ones, team members or clients? 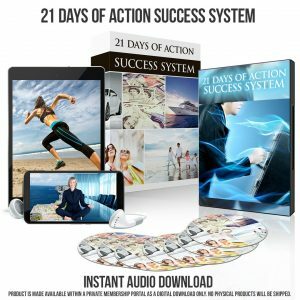 Here you'll discover what makes people "switch off", and how to switch them back on again so that they really "get" what you're saying and are motivated to take action on your message . Signature Stories that Go Viral: If you want to open people's minds to your ideas and offers, try crafting a signature story that people will retell over and over again. Here you discover a simple step-by-step process for finding, creating and delivering captivating stories that include your mission so that you build rapport and trust more quickly with your listeners. Get all of these amazing tools so you can change your inner "set point" at will, rather than being at the mercy of unconscious programs. Watch these tools positively affect your Income, Career Success, Relationships, Weight, Appearance, Happiness, or anything that is important to you. You’ll also receive motivation and training to help you apply what you learn and stay on track. 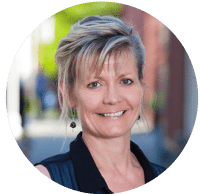 This exclusive community is the only way to get direct group coaching from Dave O'Connor and Carla Rieger and the rest of the MindStory Team. We’ll help you get and stay focused on achieving your biggest goals and dreams. Imagine having a group of people, on the same path as you, who will support you, lift you up, encourage you and give you guidance. Then imagine this group is always there for you, and always ready to listen to whatever challenge you have in your life. Imagine, you getting a chance to share your wisdom with others who love and appreciate you. That’s exactly what you will get inside the VIP Coaching & Support community. Are ﻿you missing out on ﻿the﻿ ﻿best﻿﻿ ﻿﻿things in life because you're ﻿stuck ﻿inside your ﻿comfort ﻿zone? 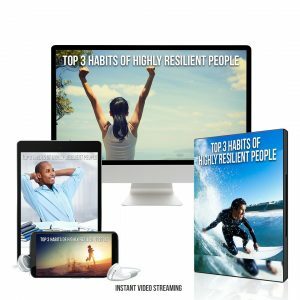 This amazing bonus has been successfully used by thousands of people from all walks of life to create new empowering habits and produce extraordinary results. Listen to and inhabit the conscious lessons when jogging, while in your car during a commute, on the subway or bus or plane. Pop the tracks onto your iPod or CD player and take them wherever you go. The unconscious closed eye processes are designed to reprogram and rewire your brain so you can form the new neural pathways that will give you more choices every moment of the day. 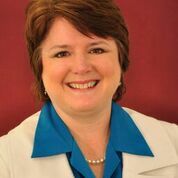 Carla Rieger is the creator of Presentation Prosperity-an online and live program for speakers. 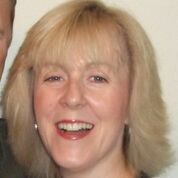 She is also the author of The Heart of Presenting and Presentation Skills for Prosperity. 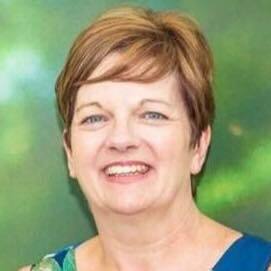 She has been a performance storyteller, comedienne, story coach and presentation skills expert for over 20 years. 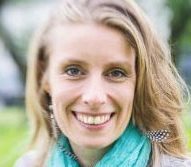 In addition, she has spoken to over 1500 groups on four different continents, including a TEDx talk. 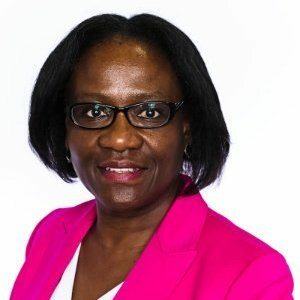 Her work has been featured on radio, TV and newspapers helping business owners grow their inner and outer capacity through speaking and presenting one-to-one. ​Dave O’Connor is a mindset expert for business owners and bestselling author. For over 19 years he has assisted thousands of individuals to achieve superior levels of performance in life. 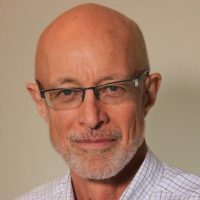 Dave specializes in helping people to make rapid and long-lasting change and is a leading results coach for individuals and organizations that want to accelerate their progress and produce breakthrough results. I've absolutely loved this 30 day challenge! It's totally cemented my belief in myself and my abilities. I'm now feeling worthy of the praise that I get from other people. 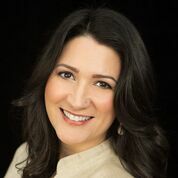 The storytelling work has not only improved my own sense of self but has helped me connect more powerfully with others so I could grow my business faster. I love remembering the good stuff and re-writing the stories of my life so that they help me create more of the life I want. I now look at things more positively. It has given me courage to move forward in bigger and better ways. I became a much more relaxed and happy person. In fact, after 30 days I felt totally changed. 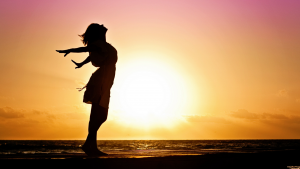 This program helped me wake up more energetic, happy and with a feeling of gratitude. On the days I didn't do it, I noticed the opposite. This has helped me treat myself so much better. The Overcoming Fear of Success process helped me clear a memory that I'd totally forgotten about. It was an incident from childhood that was blocking my forward movement. It's so funny how these things stay in your subconscious unless you have tools like this to remove them. Thank you so much! It programmed my mind for success while I slept! I LOVE THIS! I find it programs my mind for success while I sleep and makes me feel more peaceful generally throughout the day. Once I did the the 30 days, I could tell the habit had been formed and so I continued without having to will myself. I now have much less procrastination on important goals. Memory Imprints turned my dreams into reality! I used to do processes like this as a dancer getting ready to perform. I love seeing how to do that with building my business. It's already speeding up the process of turning my dreams into reality. Thank you for your interest in the Mind Story Tools. Storytelling in all it’s facets is the most powerful way to rewire your brain for much higher success. 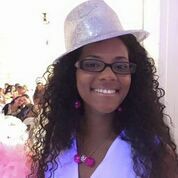 This is both a personal and professional growth program that will help you live the life you've always dreamed of, while also making a bigger difference for others. 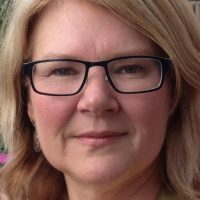 How is MindStory﻿ different from other mindset programs? The latest research in neuroscience and psychology now proves that outdated beliefs and hidden reactive patterns block our success. There are many tools out there now to help you release limiting beliefs, unconscious fears and negative patterns. The problem is, many of those tools just scratch the surface. Beliefs and habits are actually just components of a larger STORY. Stories are like software programs that have been imprinted at he deepest levels of our mind. If you only release one component of the story, such as a limiting belief about your self worth, you won’t notice a difference in your life. It would be like taking just one piece of code out of a software program. If you can identify the limiting story, and replace it entirely with a new empowering story of your choice, it’s like you’ve replaced the entire software system. Then you have the tools to create the life you really want. It’s about taking back control of your own mind and being the story director instead of just being the player. 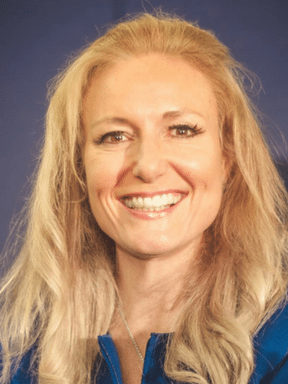 By learning how to create a MindStory it’s like a one-stop-shop for personal development as well as the ultimate way to positively transform yourself and those you serve. 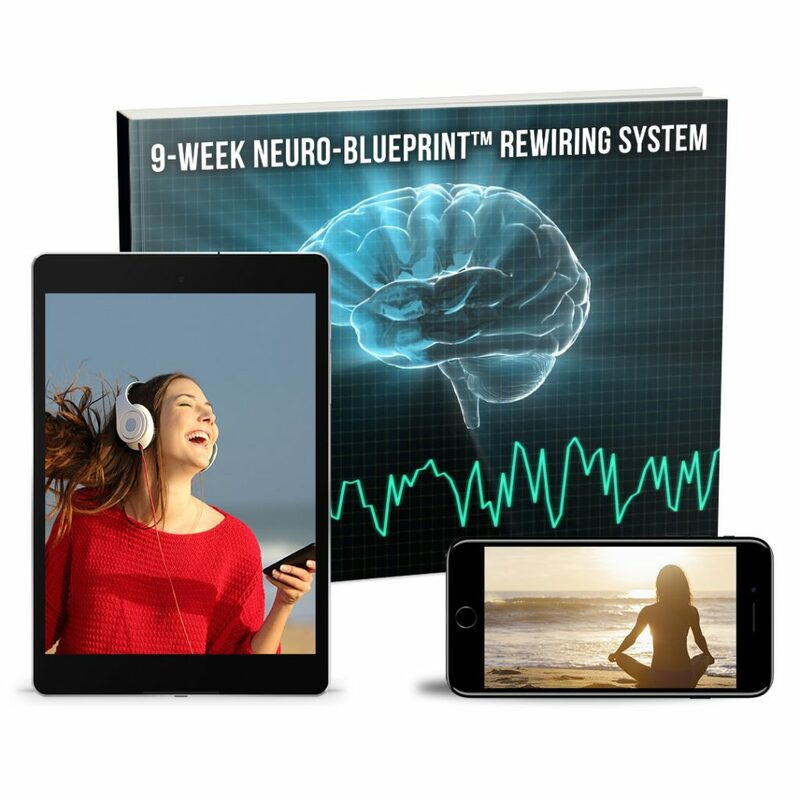 Neuro-Blueprints are powerful audio recordings we created that include the very best of what science has shown to most effectively rewire and reprogram your mind for success . These blueprints do away with conventional visualizing altogether. The combination of the relaxation of the stress response, active meditation, mental rehearsal, hypnotherapy, neuro-repatterning phrases and just allowing our voices to guide you, along with binaural beats and our proprietary sub-threshold soundwave technology called ’NEUROWAVE’ in the background, with beautifully composed musical scores has been proven over and over again with thousands of our clients worldwide to accelerate their success much faster than they can by themselves - taking their business and life to a whole new level. 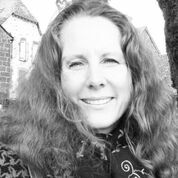 MindStory is based on over 21 years of combined experience and research in the merging fields of neuroscience, NLP, transformational psychology, applied kinesiology, metaphysics, expressive arts, storytelling, interpersonal communication, change theory and creative process theory. 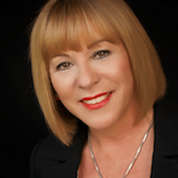 Carla Rieger has been professional speaker, author, trainer, and facilitator in these areas for over 20 years internationally. 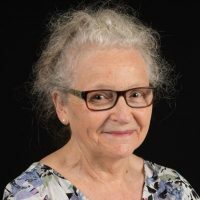 She has also been a playwright, novelist and performance storyteller for 15 years. 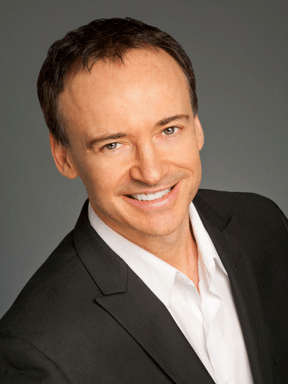 Dave O'Connor has been a mindset speaker, trainer, coach and author for over 20 years internationally as well. Both are known for their storytelling skills and advanced coaching methodologies that break people free to new levels of brilliance. In addition to their expertise, they feature the leading edge work of a variety of other experts in this field. Once you register, within 60 minutes you will receive login details to get into a password protected site. 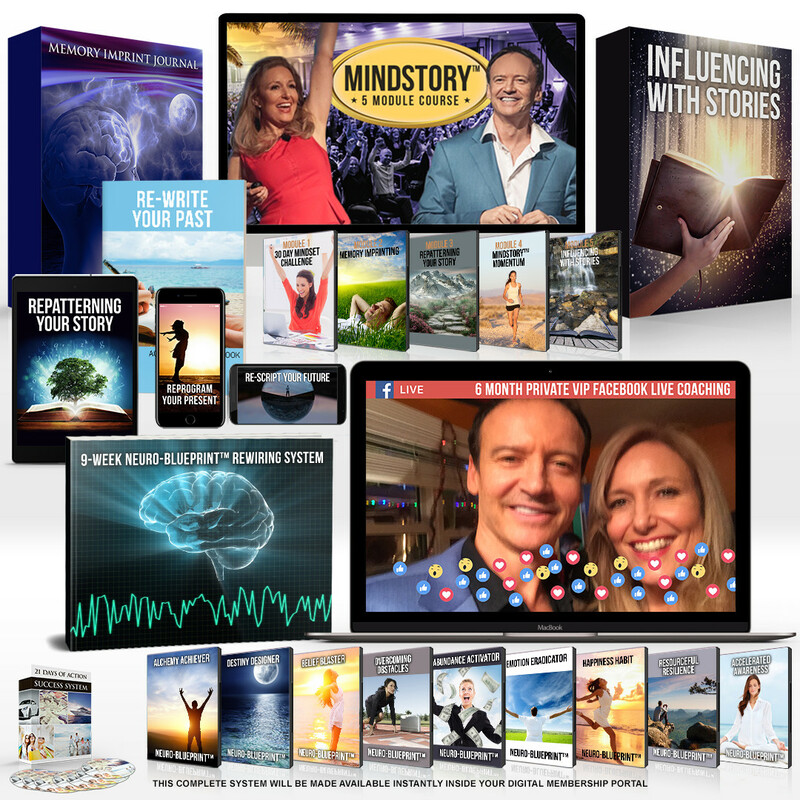 You will have access to a comprehensive, state-of-the-art system that integrates a selection of powerful, highly effective components to rewrite your story and reprogram yourself for unlimited success based on the most advanced neuroscience. Upon logging in, you’ll see a membership area with all the videos and audios with specific instructions as to how to consume them. Dave and Carla will walk you through every step of the way. You can download the audios and videos to your phone or computer so you can listen or watch anywhere in the world. 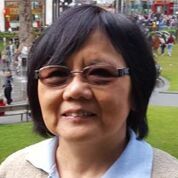 How will I stay focused and motivated to ﻿complete ﻿the program? After years of trial and error, we’ve found that we get the best results for people by getting them to focus just a small amount of time daily. That way you build your skills and integrate them into your life in a sustainable way over a 12 month period. By contrast, if you were to attend a weekend seminar it would be like a fire hose of information that would be hard to integrate. We also offer rewards for taking incremental steps as we find this helps people stay focused. Each month you will go through a proven challenge to upgrade your mindset, master your emotions and change your past, present and future stories. It’s like going to the gym regularly, but only just for 10-20 minutes a day. At the end of each challenge you receive rewards. Each month it’s different. 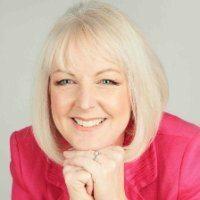 To keep you focused we offer regular live coaching and inspiration on Facebook Live. There you can ask questions, share wins, support others and stay connected. At the end of 12 months, you will find a whole new you inside and out. Absolutely yes if you stick to the program and apply the information! Not only have Dave and Carla used it and demonstrated it's success by creating a life and lifestyle they love, they have coached thousands of people with these tools to manifest their lifelong goals. The endless testimonials prove it’s changing lives. We all have access to the same power within, the only difference between successful people and unsuccessful people is the stories and beliefs they have imprinted at the subsconscious level. Our inner stories program us in positive or negative ways – for success or failure, for good or bad. Research shows that listening to the neuro-blueprints daily, watching the training videos, participating in the Facebook Live coaching along with the community support will reprogram your mind and reset your autopilot for success. How long does it typically take to start seeing results? Naturally your results will vary and usually the biggest factor which determines the speed at which you achieve success with the MindStory program is how consistent are you with the program. The best results are achieved by keeping it simple and easy and doing a little bit each day. While many of our clients feel a shift taking place within the first week or two, within 21-30 days everybody who has stuck to the program is saying, ‘positive change is happening. For some people it may take a little bit longer because they may have been stuck in their life for a very long time and are therefore still living on the residual of their past negative thoughts, emotions, stories, actions and non-actions. Latest research shows that it can take up to 66 days to form new habits. So as a rule, we say commit to this for at least 60 to 90 days and you should be able to see incredible differences in your day-to-day results. What if the timing’s not right? I’m too busy! There’s always going to challenges in our life and we’re always going to be busy. The old programming will always remind you that ‘now is never a good time’. It will keep telling you the same old story to keep you playing at mediocrity. We hope you now understand where those stories are coming from… and we’re guessing it’s not the first time you’ve felt that there was too much going on in your life or the timing just wasn’t right for something that could potentially transform your life forever. The great thing about the MindStory program is you can go as fast or as slow as you like. You will see results in as little as 10-20 minutes a day. No doubt you’ve heard the saying, 'keep on doing what you're doing, and you'll keep on getting what you are getting'. All your stories, actions and behaviors have landed you were you are today. The truth is that the timing is perfect to do something different. It’s time to put yourself first and to say yes to YOU. What if I don’t start seeing amazing results immediately? We are taking all the risks with this program. Your success is our only goal and we have packed the MindStory program with every tool we have. We know if you follow through and commit to watching the videos, listen to the audios and participate in Facebook live VIP coaching calls, you will see and feel the difference in 30 days. So we invite you to put this to the test. During those 30 days if you don't love your results and don't feel like it's everything we said it was and more, we will give you a prompt and courteous refund on the program. We feel this is not a risk for us at all. Your success is our only goal and we have packed The MindStory Program with every tool we have. We know if you follow through and commit to watching the videos, listen to the audios and participate in our Facebook Live VIP coaching calls, you will see and feel the difference in 30 days. The MindStory Program is an investment in your success, but it is also an investment in learning how to serve others more, and really make a difference. 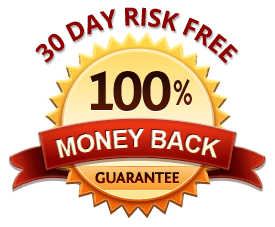 So try this out for 30 days and if you don't feel it's everything we said it was and more, then we will refund your investment promptly with no questions asked.